BOBBI BROWN EXTRA Face Oil is a lightweight, moisturising, facial oil which contains all of the rich moisturising benefits of a facial oil without being greasy. BOBBI BROWN EXTRA Face Oil adds moisture and keeps skin soft and supple, with a conditioning blend of Vitamin E, Sesame, Sweet Almond, Olive, and Jojoba oils. The lightweight formula absorbs easily and immediately into the skin, so skin always feels luxurious and never slick. BOBBI BROWN EXTRA Face Oil also contains a soothing and fragrant blend of natural essential oils, including Neroli, Patchouli, Lavender, and Sandalwood. Skin Type: Dry Skin, Normal Skin. 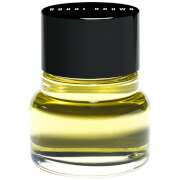 BOBBI BROWN EXTRA Face Oil 30ml was found on 3 websites and was price compared using EAN: 0716170025001. The cheapest BOBBI BROWN EXTRA Face Oil 30ml is shown as the main item, prices range from £46.00 to £46.00, excluding delivery. Price comparison based on price and delivery charges, with any valid discount codes being applied, is shown in the table above. Prices and information correct at the time of publication.